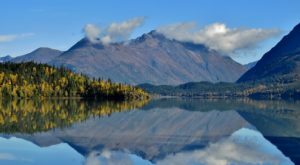 Alaska’s state history is rooted deeply within the availability and easy access of gold! The gold rush hit Alaska hard, enticing people from all over the lower 48 to head up here to try their luck. 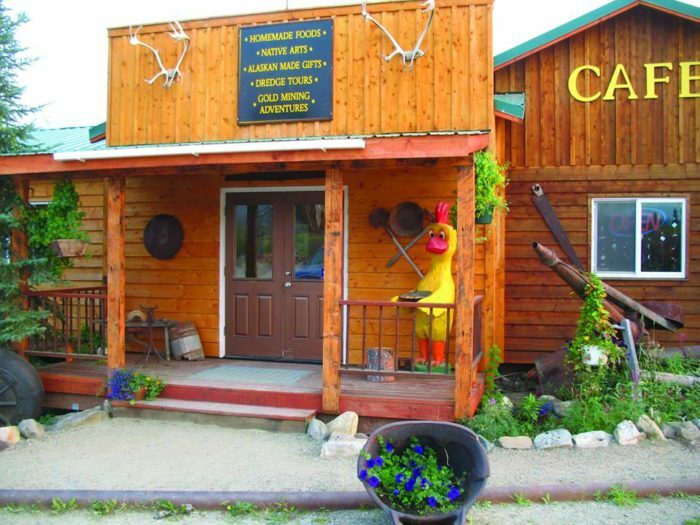 There are many places in the state where you can recreate what the first miners came here for, but none better than Chicken Gold Camp and Outpost! 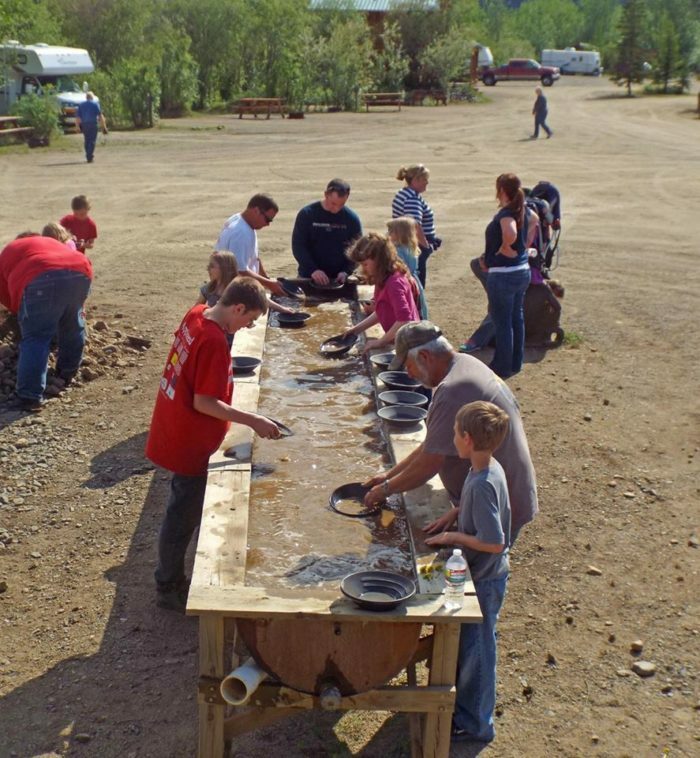 Just head north to Chicken to this gold mining campground to pan for your very own gold! Chicken, Alaska is a small gold mining town in northern Alaska. 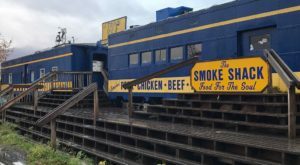 In fact, Chicken is one of the few remaining gold mining towns left in Alaska. This makes it the perfect home for Chicken Gold Camp and Outpost, a wonderful camp ground that offers recreational gold mining! This cool establishment offers everything from a cafe to espresso bar and gift store! They offer RV and tent camping options for travelers. They also have cabins for rent, and offer tours. With fire pits, shower availability, and even a gift store, this is a perfect little resort to rest in for a few days! They're not your traditional small town cafe. The food is plentiful and amazing! 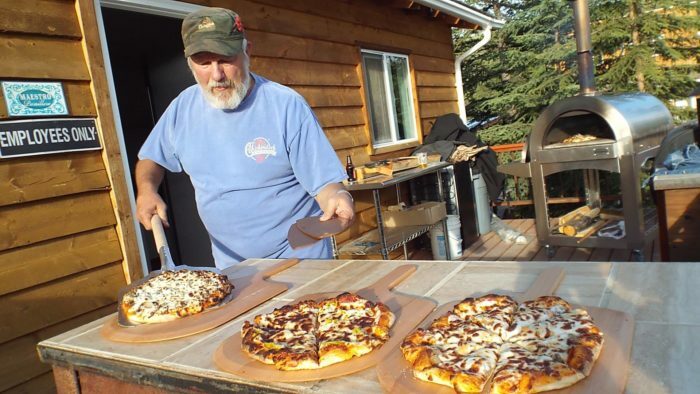 Expect such delights like wood fired pizza. Guests rave about the delicious food, even though you may be "in the middle of nowhere!" 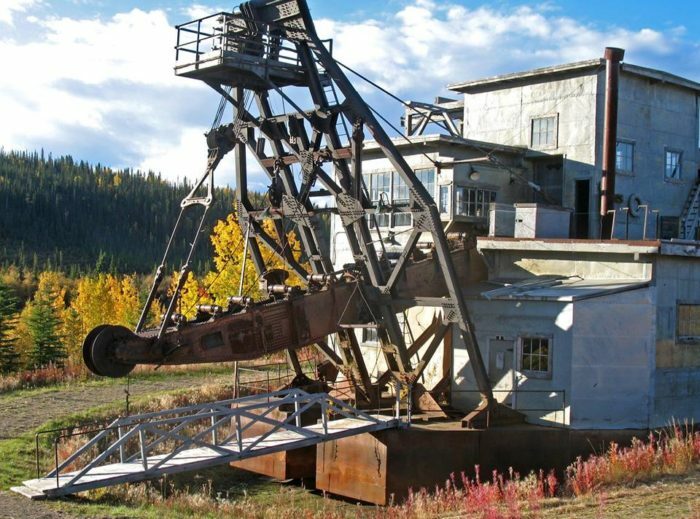 The owners purchased an original bucket mine gold dredge from the early 1900's. It's now a Pedro Dredge National Historic Site! You can take a tour to check out the inside of this interesting piece of machinery and museum. 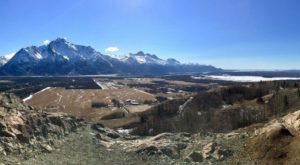 You can also visit an actual working Alaskan gold mine if you're interested. 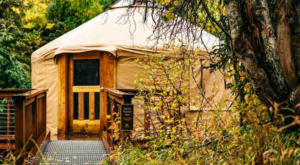 There are so many things to do on this wilderness resort! The owners pull dirt from one of their own mining claims for you to pan. This is an awesome opportunity to truly experience the work it took to find gold. 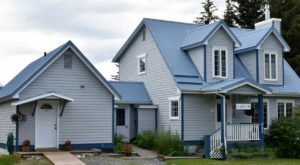 The price offered to gold pan is one of the cheapest options in Alaska- only $10.00. Many talk about how much gold you'll find when you pan for gold here! 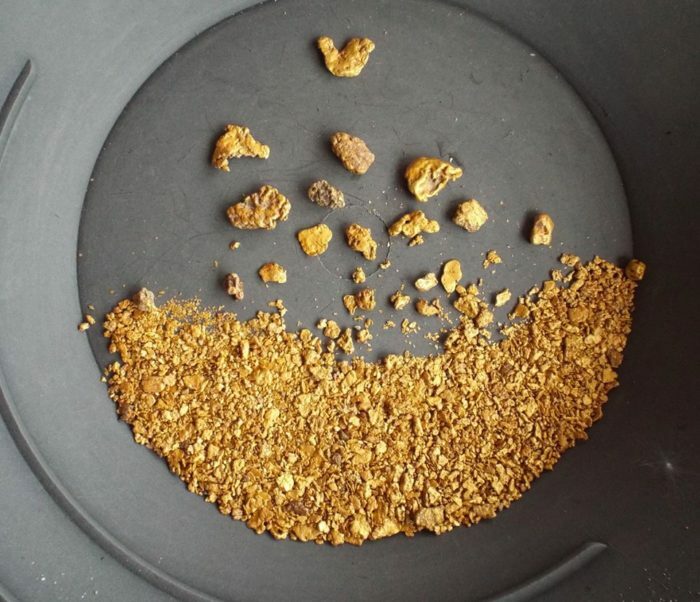 It's interesting to see the gold in it's raw form, and makes for a fantastic keepsake. If you'd rather, ask them about their options to mine for gold instead of panning! 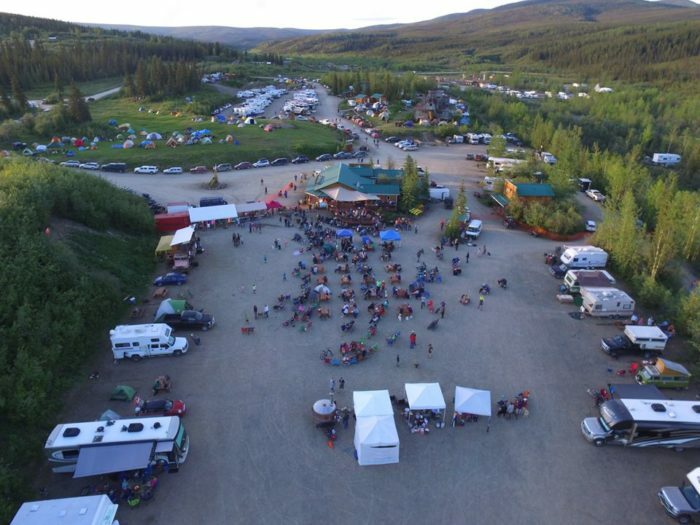 There are so many things to see and do at this gold mining campground. 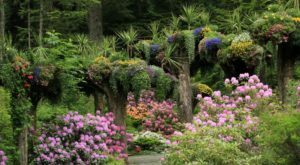 With a music festival in the summer, and adventures options beyond the camp, this place is well worth the stop! 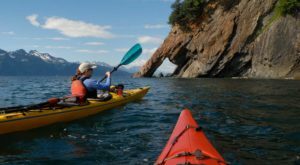 Take your kayaks with you to ride 40 Mile River nearby, or just relax and enjoy an Alaskan beer while watching for wildlife. 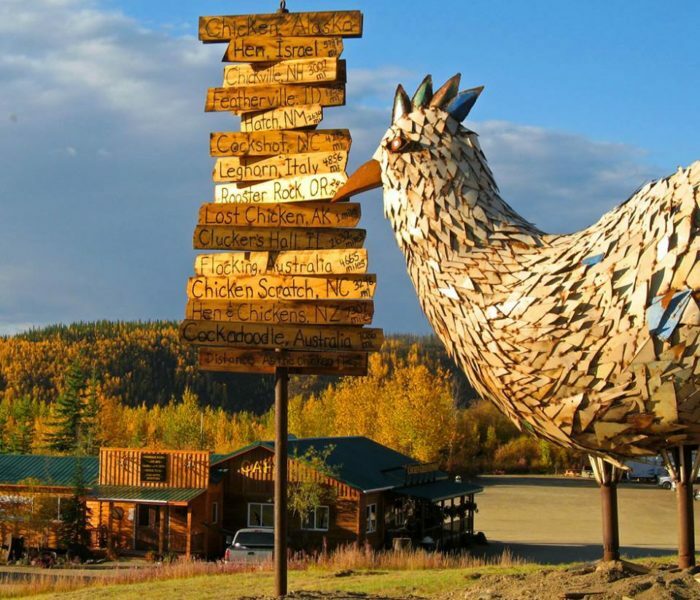 Have you ever visited Chicken, Alaska? Did you pan for gold? What did you think of this cool small town? Let us know in the comments below! 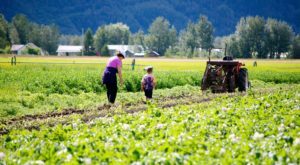 If you’d like to learn more about Chicken, make sure to read about The Small Town In Alaska You’ve Probably Never Heard Of!